It was great to meet a few of the officers from the USS Reuben James while they hosted a Hail & Farewell event. Hail and Farewell (a translation of ave atque vale, last words of the poem Catullus 101) is a traditional military event whereby those coming to and departing from an organization are celebrated. This may coincide with a change in command, be scheduled on an annual basis, or be prompted by any momentous organizational change. It is a time to honor those who have departed the unit and thank them for their service. At the same time it is a welcome to those who are joining and introduces them to the special history and traditions of their new organization. This celebration builds organizational camaraderie and esprit de corps. It supports a sense of continuity through change. The United States Navy, has specified that by custom the ship's officers must give a formal dinner when their new captain arrives. There may also be a formal dinner for the departing captain and these may be combined into one formal Hail and Farewell dinner. 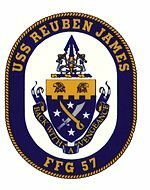 USS Reuben James (FFG-57), an Oliver Hazard Perry-class guided missile frigate, is the third ship of the U.S. Navy named for Reuben James, a boatswain's mate who distinguished himself fighting the Barbary pirates. 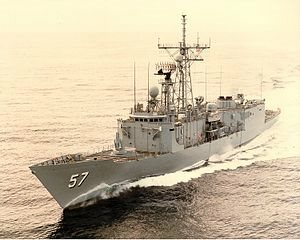 Her crew totals 201 enlisted, 18 chief petty officers and 26 officers. Tiki's is located in the Aston Waikiki Beach Hotel, off Kalakaua & Paoakalani Ave.
Tiki's offers 3 hours of FREE validated parking with hotel valet.